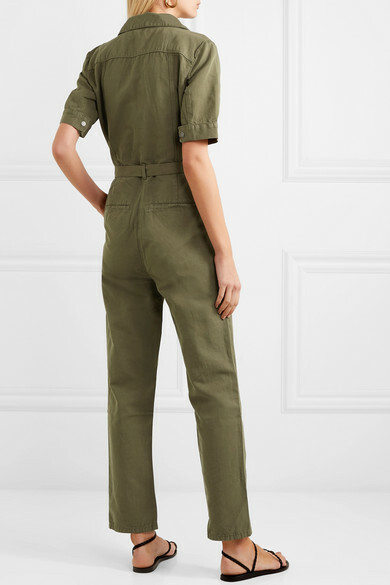 Workwear-inspired jumpsuits are a smart choice for the office, or an occasion this season. 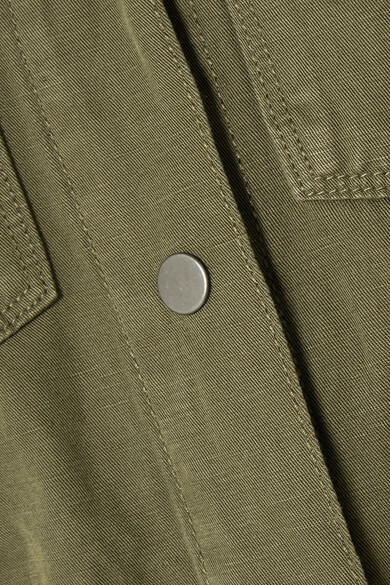 FRAME’s version is made from breathable cotton and linen-blend, so it's ideal for warm days in the city. 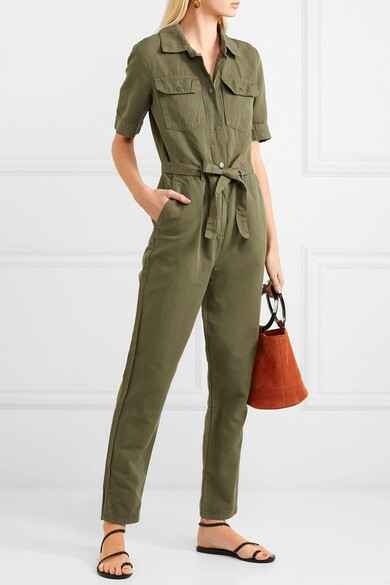 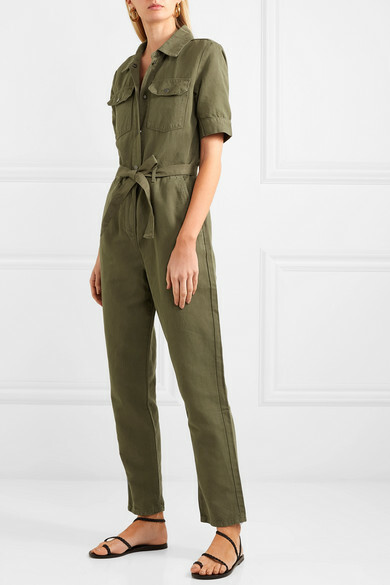 Utilitarian flap pockets and a belted waist add definition to the slightly loose fit.